Teams from Nash Industrial Services and The Gaslight battled it out at the Silverlands, Buxton on Thursday 25th April in a charity football match to raise funds for Blythe House Hospice. In what was a pulsating encounter, Nash Industrial Services fought back from a goal down through 2 well taken goals by Alan Poole to win 2-1. 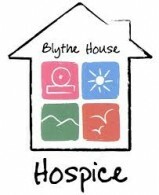 It was a fantastic fundraising evening which helped to raise £1000 for Blythe House Hospice. We would like to take this opportunity to thank all the local businesses who kindly donated gifts for the raffle, for everybody who’s hard work work made the night possible and of course to everyone who supported the event by giving so generously for such a worthwhile cause.